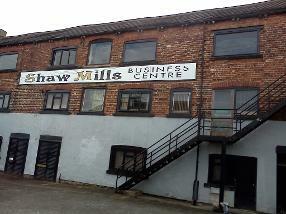 Shaw Mills Business Centre. Commercial Units To Let Armley. Leeds 12. Small, Medium And Large Commercial Units To Let In Armley, Leeds 12. Shops To Let. SHAW MILLS. ARMLEY TOWN STREET. Availability Cannot Be Guaranteed. Please Inquire As To The Current State Of Occupancy. Which Is Your Preferred Area? Industrial. Commercial Units To Let In Leeds. Armley. Leeds 12. Shops To Rent. Warehouses and Storage. On Armley Town Street LEEDS 12. A Very Busy Road Between Leeds and Bradford. Ideal For Shop. High Footfall.